The CDC (Centers for Disease Control) have reported that iodine levels in women of childbearing age are lower than expected and possibly lower than they should be for optimal health. According to the report released by the CDC, women between the ages of 20 and 39 have low iodine levels, sometimes bordering on iodine deficiency. The body needs iodine for essential functions like growth and development. Iodine is also required for thyroid health. If iodine levels remain lower than the body needs for basic functions, mental development and thyroid function can be depressed. 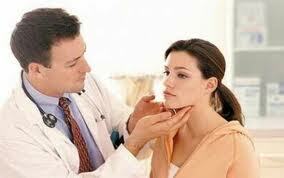 Goiter, cretinism and hypothyroidism are all associated with low iodine levels in men and women. What’s interesting about the CDC report is the fact that the main source of iodine in more than 70 countries is table salt with added iodine. Dairy, eggs and grains also contain high levels of iodine, but not to the level of table salt. Fruits and vegetables also contain iodine, but the total amount is determined by the amount of iodine in the soil and various factors associated with care while growing, like fertilizer. In terms of pregnancy, the CDC worries that pregnant women who don’t consume enough table salt or dairy products may have lower than healthy iodine level, which could affect the pregnancy and growth of the fetus. If a mother is deficient in iodine it can cause mental retardation and growth depression. The effects on the fetus are long-term and cannot be reversed after birth. There is a careful line when it comes to consuming enough iodine via table salt. Pregnant women who restrict salt intake should discuss the risk of iodine deficiency with their obstetrician early in pregnancy or, ideally, before pregnancy. Your obstetrician may suggest seeing a nutritionist to properlyplan out how to increase iodine intake without greatly increasing salt intake. Source: FA Tayie, K Jourdan. CDC, Office of Dietary Supplements, National Institutes of Health. 6 April, 2012. Previous: Does Your Baby Need a Hydrogen Breath Test? Next: How Important Is Having Children?